I have been sick. It’s nothing serious, laryngitis followed by what, I don’t know, maybe just a pollen allergy. Anyway I have had barely enough energy to take Jacques around the block. Actually going shopping has been out of the question but I can still tap the screen of an iPad. Thus I found myself looking for delivered groceries that I actually wanted to eat. I got spoiled living in San Francisco, shopping at the farmers’ markets or at Monterey Market in Berkeley. Of course the food was seasonal, locally grown and organic — or at least I always had the option of organic. Of course. My house is in an agricultural area, so the twice-a-week market is first rate. In Paris, if I want first-rate, I have had to eat out. Every time I see a TV show with a chef in his personal potager I think well yes, he must have been driven by desperation to do this. But now, thanks to my bedridden condition, I may have found the secret to finding good ingredients in Paris. A few weeks ago I found “La Ruche Qui Dit Oui!,” the beehive, though maybe here they mean that in the sense of a collective, that says yes. I like them and they put out an entertaining newsletter. You put in your order. At the appointed time you go to a nearby location — in my case the lobby of a movie theater — and pick it up. Everything is seasonal, locally grown and organic. The staff is really nice. They have a tie-in with Bon Marché, of all things, so clearly they are well-connected. I got a beeswax-based hand cream that would shame Bert to no end. However the quality of the produce, well, not great. I’ve had better. Maybe I got them on a bad day. I’ll doubtless give them another chance, if only to get more hand cream. Besides, as I say, I’m not going anywhere right now. For food right now, delivered to the door, I had to look elsewhere. I tried Auchan. I needed soap and how bad could the produce be? Well. If I were a food photographer, I would shop at Auchan. Everything came perfectly packaged and looking fabulous. Everything had the texture and flavor of cardboard. I don’t know how food can look so plump and gorgeous and ripe, while tasting like nothing. I do like the web site. I’ll go back but I’ll stick to the soap. To my great good fortune, I found a winner. Le Comptoir Local is where I bought the confiture in the photo. They check the local, organic and small producers boxes, of course. Those labels look like they were purchased from Etsy, which I love. Overall, the quality was a little higher than that offered by the Ruche. The vibe of the packaging and handling was a little more professional. The food was excellent. I am surprised that only one of those jars is empty. The pear spread has cocoa in it; my morning oatmeal has never tasted so good. I don’t like marmalade but I have been reading Helena Attlee’s book, “The Land Where Lemons Grow.” She makes you want everything citrus so okay, I ordered some. I’ll order more, no question. It plays around in your mouth, bouncing from sweet to tart to something in between, then bounces some more. I’ll have to put some in food, some time. I still dislike industrial marmalade but Trois Agrumes has a permanent welcome at my house. If you rent an apartment when you visit Paris, you could do far worse than to order from the Comptoir. They take a couple of days to deliver your order and I think they give you a choice of days and times. Order while you are still wherever you are coming from. Pick that first jet-lagged morning for delivery — come on, you know you want to sleep in — and wait for the goodness that is to come your way. Tell yourself you are allowing Paris to come to you. Oh golly I hope you feel better soon. But with the weather suddenly so cold perhaps wrapped up snug with Jacques Frost is the best place for a little while. I love these ideas and I will be checking them out. I wonder if there is anything similar down here – friends in Lyon could take delivery if necessary .. I always like an excuse to go and take lunch in a Bouchon! Food in Lyon? You must be spoiled for choice. Even in Grenoble, there must be something. People work. It’s getting harder to find time to go to the local markets, excellent though they may be. Good luck in the search. It is such a joy to cook with good ingredients. Grenoble is very good as it happens and of course we have a few Bouchon Lyonnaise in the city since Lyon is such a near neighbour. In truth, I am two steps from several excellent markets and several very good épiceries (French, Italian and Arabic) so I can’t complain at all. But I just love deliveries so I might still have to indulge! In Italy obtaining fresh good food is not a problem. Only if you have guests arriving and have a ‘perdita di gas’ (gas leak) which prevents you from cooking. To the rescue, Franco, with his little shop in Colonnetta di Fabro. Just let him know what you would like to eat and he will prepare it. Tartuffo lasagna anyone? Buonissimo!!! That sounds so good. I have no source of tartuffo lasagna anywhere here, not that I know of. When it comes to delivered food, the situation is reversed. Here in Paris there are competing delivery services. In the countryside, no. The one good option closed up shop some time ago and no one has replaced her. If Le Pen is elected I’ll do a long, whiny post about it, along the lines of “no wonder!” Let’s hope it doesn’t happen. Sounds interesting. The downside of the big city, but you’ve discovered how to cope. Out here in la France Profonde, we not only have good markets (there’s one every day in one village or another) but we also can order directly from some farms and they will deliver. Some are organic, others are pretty close (it’s quite a hassle to get the label, so some just content themselves with using minimal or natural inputs). Yes, in the countryside, it’s fine. We have markets most days. One day I’ll put them all on a calendar, so I can keep them straight. We also have a nearby cooperative that sells excellent produce. I suspect that in France the “organic” label is going agribusiness, as it did in California. When it became codified the paperwork was too much for small producers, so they invented different labels for themselves and the markets adapted. We shall see. For the moment I’m just glad that in Paris I can find good ingredients. Now if I can get the country suppliers to deliver…. There are local co ops in rural areas in France…as you say, getting ‘the’ label is a hassle, but not a problem on the small scale where people know what you do and how you do it. 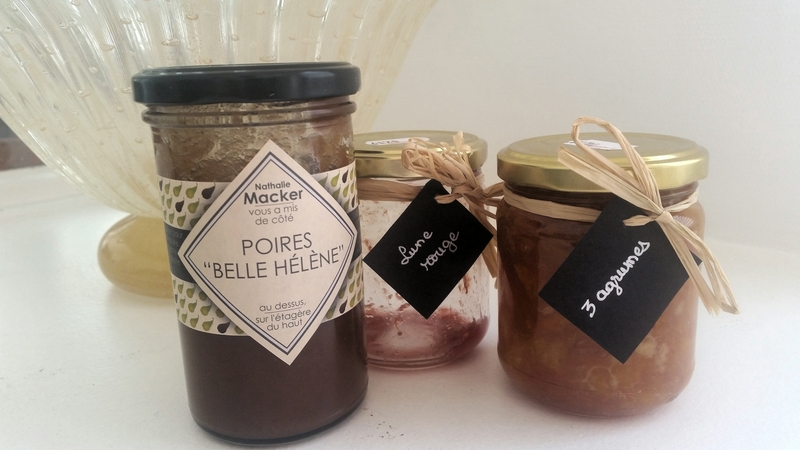 Quite agree with you on industrial marmalade…but the one you received sounds like heaven. Sorry. I didn’t finish that. My point was that the regulations are sometimes absurd. We are seeing businesses go under because they can’t afford upgrades that are necessary only because a bureaucrat in Paris or Brussels says that are. No wonder people will vote for most anyone who says they’ll lighten the load. When I was first in France the local baker kneaded and developed his dough in a wooden trough: he let me have a go at it too. I have a feeling that that trough contained all sorts of bugs – just the way bacon curing troughs did – which gave a particular flavour to the end product. His trough went when he retired: no longer in the norms. A local cattle farmer who sold ready butchered selections of cuts was put out of business by the imposition of norms whose absence had troubled no one whatsoever…everyone knew how careful he was of hygiene. As to Macron…a friend tells me that he is proposing a new version of the wealth tax…imposed only on property, which allows those whose wealth is in monetary instruments to go scot free while middle class families who have kept the parents’ place in the country as a holiday home will be stuffed. Oh no. Could he be that stupid? With the French cherishing of “patrimoine” and the expression “land poor” going back eons? I don’t have much land but I’d vote for Le Pen to avoid that. After all my property taxes are already significant. I am surprised no one has just stated the obvious truth. Big businesses are going to go where their costs are lowest. Small businesses, however, do not have the scale for that. Plus when a small business closes, a few jobs are lost. When Whirlpool closes, the whole town shuts down. So what can France encourage that is economically viable and conducive to the establishment of small businesses? The crazy regulations you are talking about can be reviewed and revised. What else can be done? I haven’t heard anything like that from either candidate or from any of those who did not make the cut. I haven’t had time to research it for myself yet, but the friend is pretty reliable. If Macron has come out with this then he must be mad. Small and medium businesses are the engine of internal commerce…but successive central and local governments see them merely as milch cows. In our local town the cebtre was dead…high rates drove some out, idiot regulkations made others give up. An architectural gem now enjoys a tottoo parlour and very little else. The council did not give a damn…they had the taxe professionelle from the supermarkets on the periphery…and when they lost that windfall under Sarkozy their only solution was to hammer the small guys even more by the imposition of exorbitant taxes on the ‘value’ of their business premises. My village is too small for that kind of thing. Another city profits from the likes of HyperU. The rules driving my local merchants out of business seem to be coming from Paris and Brussels. When every fifth who wants to work is out of work, every job matters. I’m assuming of course that the jobs are not exploitive but neither of us is advocating for those. But honestly, I haven’t seen that Le Pen, with her France First rhetoric, is directly addressing the regulations that kill small businesses. I don’t even do summer rentals any more and the local small business operators look stressed and way too grateful for the little bit of trade that I bring them. None of the eleven initial candidates seemed to be aware of a problem that worries people outside the big cities…. That’s an interesting site. I have been whining about the lack of serious analysis from journalists here. Arguments run along lines set by politicians and trade unions themselves. Reality checks and new ideas are few and far between. Contrepoints seems to have lots of interesting analysis. I’ll be spending some time with it. Thanks. I find it helpful to have a source of analysis which is not that of the press in general.